Professional collective, occupational satisfaction, highly creative environment, loyalty to traditions, consistency, successful combination of youth and experince formed in the Baku State Design Institute increase hopes for tomorrow. 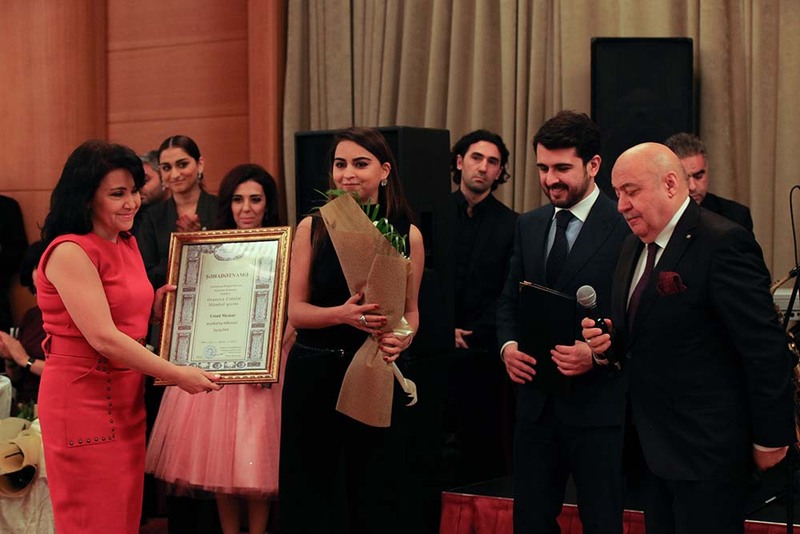 December 22, 2017 at 17.00, I was a participant of a very interesting event – the 80th anniversary of the Baku State Design Institute, at Holiday Inn Baku, one of the most beautiful locations in the capital. The interesting aspect of the event was that for the first time I was witnessing the jubilee event being held in this format, and most importantly, the guests of the event were well-known architects, construction managers and creative people bearing all the weight of the building architecture of Azerbaijan. The pleasant atmosphere of the guests in the hall was making the creative and stylish event even more fascinating. The director of the institute, honored architect of the republic, well-known architect Ilgar Isbatov opened the jubilee with the opening remark “welcome” and said that – we have organized this event so that you can rest well and the night was even more memorable and then he greeted the honored guests. Who were they? 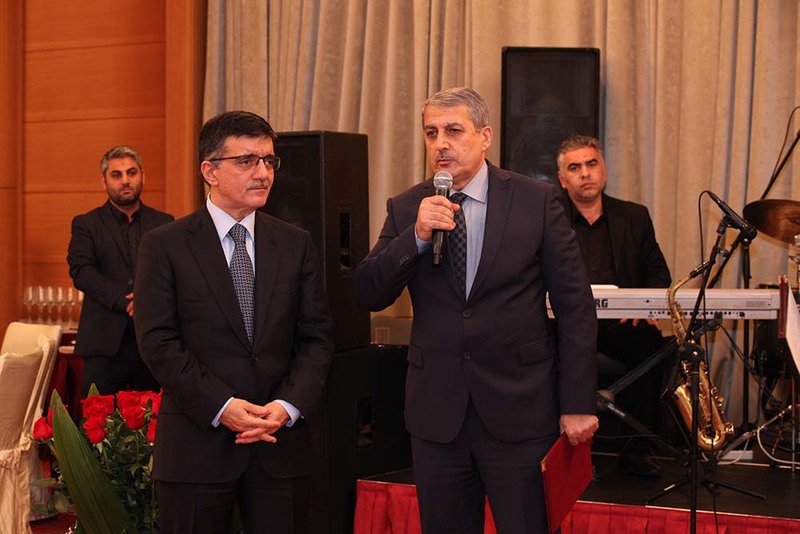 Chairman of the Union of Architects Elbay Gasimzade, Rector of Azerbaijan University of Architecture and Construction, professor, Honored Architect Gulchohra Mammadova, Deputy head of State Agency on Control over Safety in Construction of Ministry of Emergency Situations of the Republic of Azerbaijan, Honored Engineer Tayyar Huseynli, Head of the State Committee for Urban Development and Architecture Agamirza Canmirzayev, Directors of the design institutes of the State Agency for Construction Safety Control – Honored Engineer Yusif Nagiyev, Honored Architect Musadin Namazov, Sahib Garayev, Elchin Guliyev, Chairman of the Expertise Committee of Azerbaijan Asgar Hasanov, Directors of the Design Institutes of the State Committee for Urban Development and Architecture – Abdi Garayev, Suleyman Jabbarov, famous Architect Hafiz Amirkhanov and others. Usually these kinds of events are famous because of the intellectuality of the guests, their position and influence in life and society. In this regard, the participants of the event were the most prominent figures of the country’s project architecture sphere, as well as their attendance in the 80th jubilee of the magnificent creativity center, such as the Baku State Design Institute and the fact that the institute’s creative team was a part of the event brought even more magnificence to it. And … of course, director Ilgar Isbatov’s unique organizational work sealed the event, and this should be especially emphasized. 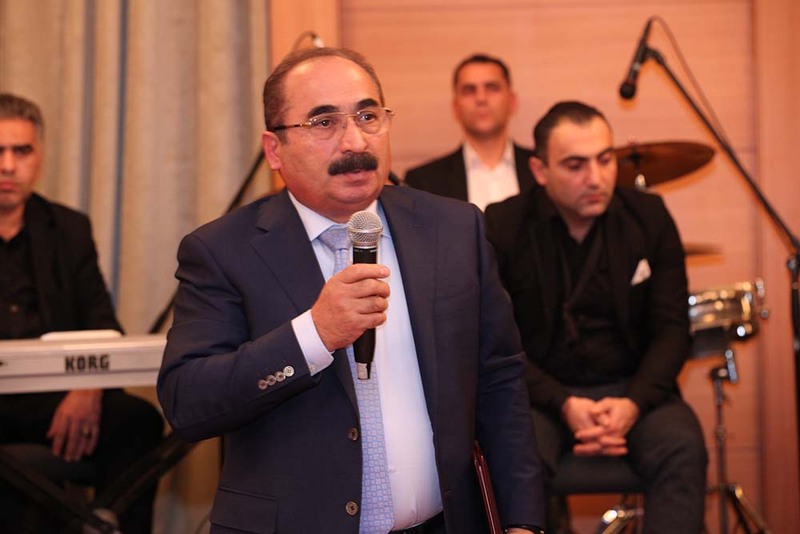 The director, Ilgar Isbatov, who started the jubilee event, thanked the President of Azerbaijan Mr. Ilham Aliyev his and his family’s deep gratitude for giving him the Order of Glory and expressed his appreciation to the Chairman of the Union of Architects Elbay Gasimzade, after that he commemorated the 80th anniversary of the Institute. He said that the Baku State Design Institute was established in 1937 as an architectural planning office under the Baku city People’s Deputies Council Executive Committee. The Institute was designated as “Bakproyekt” since 1952 and “Bakuqiproqor” since 1958 and since that has acquired large experience on planning of Baku city, as well as designing public and residential buildings. When the Republic of Azerbaijan has gained its independence it was renamed into “Baku State Design Institute”. Currently, the Institute operates under the State Committee for Urban Planning and Architecture of the Republic of Azerbaijan. Looking back at the institute’s history Ilgar Isbatov, said that in the second half of the last century the institute became the main center of architecture preserved. A new generation of national architects, who would become prominent in future, formed there. N.M.Hajibeyov, T.Y.Sharinski, V.S.Shulghin, D.H.Seyidova, L.I.Gonsiorovski, A.S.Surkin, B.I.Ginsburg, F.I.Rustambeyova and others were followed by F.A.Guliyev, A.N.Novruzi, H.Y.Amirkhanov, Z.A.Mamməadov, O.M.Babayeva, F.H.Yuzbashev etc. from the new generation of talented architects, who played an important role forming today’s image of Baku, Azerbaijan,s capital. It’s them who helped architecture survive and preserved it for the future. Their masterworks, experience they have passed to coming generations of architects and highly professional environment they creates serve a fundament of the Institute, and every newcomer grows up into an expert in this environment and under these influences. Ilgar Isbatov said that Institute’s engineers, who have played important roles in a number of complicated designs, deserve special mentioning. R.A.Aliyev, H.S.Shamilov, K.A.Karimov, A.S.Heybatov, N.I.Ismaylov, E.M.Mammadova, D.I.Shapiro, B.E.Kotlyar, M.M.Kazimov and other engineers became true professionals and played important roles forming today’s active designers and real experts, F.H.Agayeva, N.Sh.Polukhov, V.H.Hasanov, S.N.Nazarov, F.S.Aslanova, L.A.Hamzayeva and others. 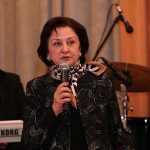 Ilgar Isbatov mentioned significant role of Abbas Alaskarov, who has been leading the Institute through its most crucial times and said that early 1980s weren’t years of success for the Institute – they were those of degradation. It was Abbas Alaskarov whose appointment Director of the Institute fundamental changes started after: reforms were arranged; the youth were supported; the agency began to develop again. His another accomplishment is that he managed to keep the Institute existing and save its capacity in early 1990s complicated conditions. The Institute’s portfolio has been historically including a lot of pride-worth designs, whose implementations cover a major part of Baku. The Heydar Aliyev Palace, Tofig Bahramov National Stadium, National Hospital, Seaside National Park, dozens of schools, kindergartens, clinics, sport complexes and millions of residential square meters have been designed and constructed. Prepared by Bakghiprogor, the General Layout of Baku for 1986-2005 was approved in 1987 by the Azerbaijan Soviet Socialist Republic’s Cabinet of Minsters’ resolution. – Currently, Baku State Design Institute continues its historical traditions with logical consistency and modern realities and challenges met. That young skilful, talented and ambitious architects are employed, grown under influence by experienced professionals and promoted is bringing success. Baku State Design Institute has been recently successful in many projects both domestically and abroad: Proper Baku Land use and Zoning Plan, Greater Baku Regional Development Plan, Baku City Landuse and Zoning Plan (Master Plan) are the projects developed by the institute. Along with these, a number of successful civil and residential facilities were also designed. Among them – a project of the Marxal Rest Complex in Sheki city by the order of the Presidential Administration, a large residential complex to be built on 5,4 hectares, with more than 1,000 apartments for employees of the State Oil Company of Azerbaijan by the order of ‘‘Neftchi’’ housing-construction cooperative , design of the new building of 2500 seat school-lyceum No 20 in Yasamal district, 5 high-rise residential complexes of 472 apartments for employees of “Azerbaijan Caspian Shipping” Closed Joint Stock Company in Khatai district, residential buildings in New Yasamal, C.Guliyev, H.B.Zardabi, M. Ibrahimov streets, building of Academy of the Ministry of Emergency Situations in Hovsan, Diagnostics center in Sharifzadeh street, Technological corps and new entrance pavilion of metro, Gabala Region Executive Power, four-storey shopping center in Nizami Street, reconstruction of facades of buildings in Neftchilar and Istiglaliyyat streets and Ganjlik square , Azerbaijan pavilion at Floriada exhibition in Venlo, Netherlands, reconstruction of facades of several residential houses on Istiglaliyyat street, design of school number 6, design of residential complexes on H. Zaradiyev Street and Nobel Avenue, etc. 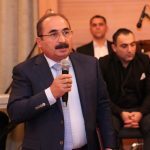 Ilgar Isbatov said that the Baku State Design Institute is our national wealth as other material-moral examples created by our people and introduced Chairman of the Union of Architects Elbay Gasimzade to give his congratulatory speech. 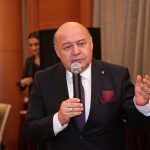 Elbay Gasimzade, characterized the Baku State Design Institute as one of the oldest architectural center in the country and mentioned that there is no other organization like that where Azerbaijan talented architects work and enrich Baku’s architectural environment. He noted that there are very good relations, business cooperation between the Union of Atchitects and Baku State Design Institute and appreciated the efforts of the director Ilgar Isbatov in this direction. The lecturer noted that Hasanagala Majidov, Anvar Ismayilov, Anvar Gasimzadeh, Vadim Shulgin, Nazim Hajibeyov, Hafiz Amirkhanov, Faik Hundredbashev, Ali bey Novruzzi and others have been engaged in architecture at different times and have created very interesting architectural samples at this institute. This institution has always been chosen by the highly creative atmosphere and the most magnificent public buildings of our city were built inside walls of this institution. One of the major tasks of the institute is the development of urban planning in Baku, and the collective has been able to cope with these tasks until today. Elbay Gasimzade continued, saying that since the Azerbaijan Union of Atchitects is a creative organization, we are always trying to evaluate the creativity of architects. 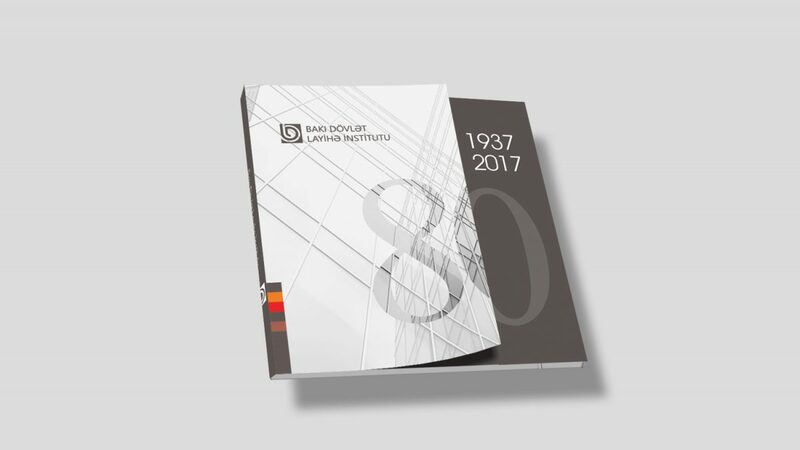 Being loyal to our tradition, we feel obliged to reward a group of employees of the Institute on the 80th anniversary of the Baku Design State Institute. 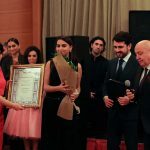 He then presented the memorable medal “Mikail Huseynov” to Zulfugar Mammadov, the Honorary Diploma of “Ustad Memar” to Jalalat Orujova and Elchin Umudov and Honorary orders of Azerbaijan Union of Architects to the other 5 employees of the Institute. 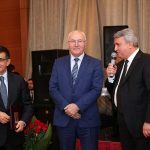 He wished great success to the awarded architects, as well as to all creative collectives of the institute and presented the membership cards on the acceptance of the three young architects to the Azerbaijan Union of Architects. Then Rector of Azerbaijan University of Architecture and Construction, professor, Honored Architect Gulchohra Mammadova began her speech. 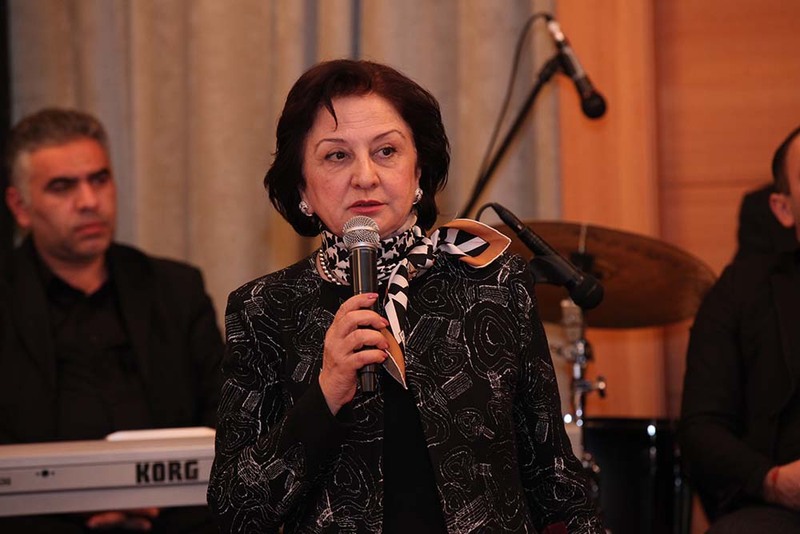 SHe noted that Baku State Design Institute had a special place in the history of architecture and construction of Azerbaijan and that masters worked here for the past 80 years, played a role of school in the education of young architects and marked their name in the architectural history, and added that the projects have played a crucial role in determining the architectural aspect of Baku. -“This architectural center has always been led by talented architects. Ilgar Isbatov is the head of the institute for the last 11 years. Although he has completed his education in Moscow, but we consider him as the alumni of our institute and we are proud of his achievements. He is one of our very talented architects, and institute’s every work has been done here was realised under his leadership. I must say that young professionals in the institute are predominant, and it is very pleasant that all of them are graduated from our university and justified our confidence. Today, there is a close relationship between the Baku State Design Institute and Azerbaijan University of Architecture and Construction and we are trying to deepen and develop these relations. She wished every member of the team new creative successes on the occasion of the 80th jubilee of the institute. Then Deputy head of State Agency on Control over Safety in Construction of Ministry of Emergency Situations of the Republic of Azerbaijan, Honored Engineer Tayyar Huseynli began his speech. The guest congratulated Baku State Design Institute staff on behalf of the guiding principles and staff of the State Agency on Control over Safety in Construction of Ministry of Emergency Situations of the Republic of Azerbaijan and noted that in the 80 years of existence and protection of the Azerbaijani architectural traditions, in the determination of the architectural image of the capital every member of the staff worked professionally. He said that he could talk for hours about the successes of the Institutue but he mentioned that there is no need for that and delivered the greetings of Head of the Agency for Control over Construction Safety Mr. Jabrayil Khanlarov to the participants of the event. Then Head of the State Committee for Urban Development and Architecture Agamirza Canmirzayev delivered his congratulatory speech. 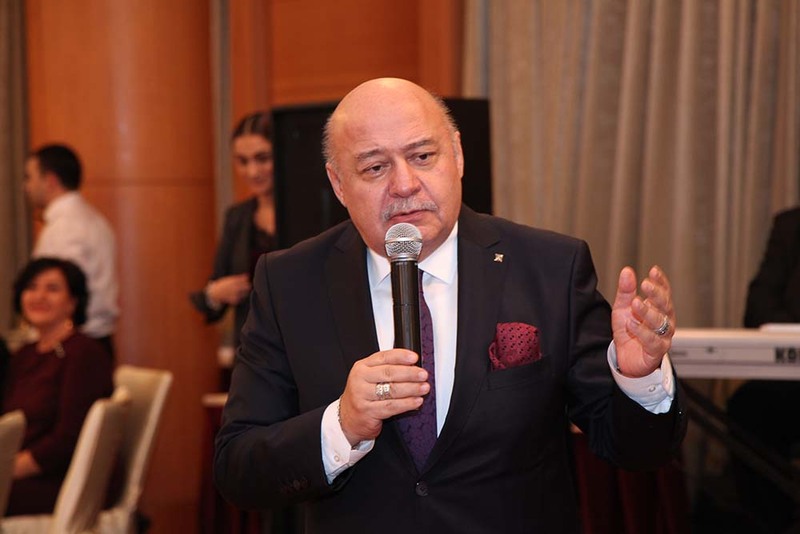 Mr. Agamirza noted that Abbas Alasgarov could not attend the event because of the excusable cause and send his greetings to the event participants. 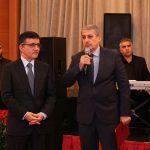 He mentioned that Baku State Design Institute is the leading project organization in the country and talked about large-scale projects accomplished by the institute and its achievements over the last 11 years and conveyed Mr. Abbas Alasgarov’s congratulatory message to the participants of the event. Then he presented XI International Competition “Diploma to Ilgar Isbatov, the director of the Institute in the nomination of the best construction and project organization of the Intergovernmental Council on cooperation in the field of construction activities of the Commonwealth of Independent States. He also presented a number of staff members of the Institute with honorary degrees of State Committee for Urban Development and Architecture and wished them new creative horizons. 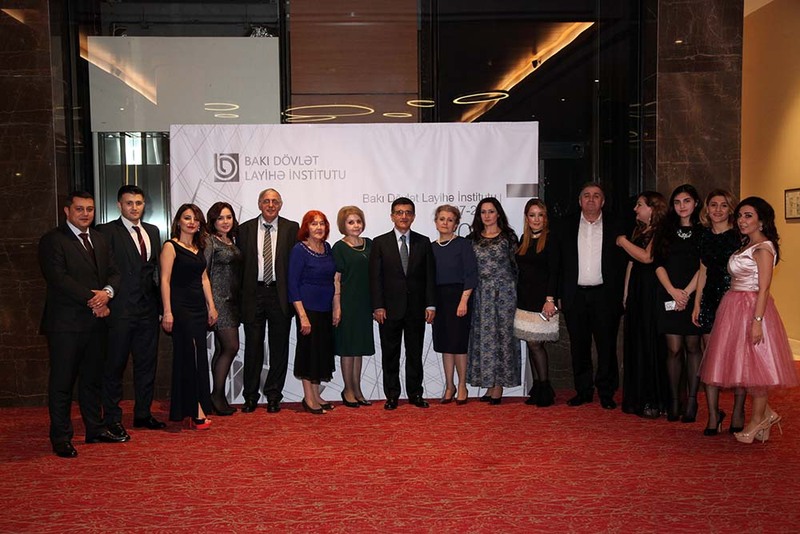 Then a documentary film “Baku, my home”, dedicated to the 80th anniversary of the Baku State Institute of Contemporary Art, was demonstrated and attracted special attention of the event participants. The existence of music pieces with short breaks, beautiful dances of the institute’s staff created a pleasant atmosphere in the event. 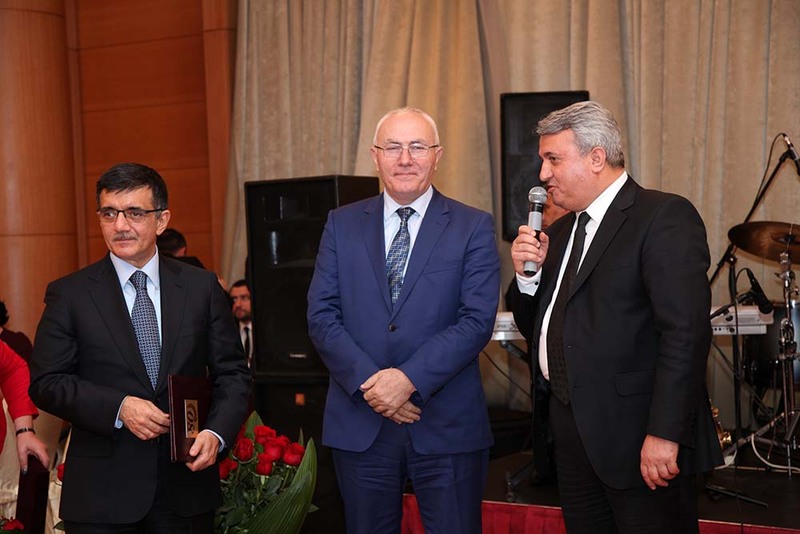 Congratulatory speech by architect Hafiz Amirkhanov, the Director of Azerbaijan Scientific Research Institute of Construction and Architecture Abdi Garayev, director of “AzerMemarlayihe” Institute Suleyman Jabbarov was as a sign of appreciation to the work of the collective. 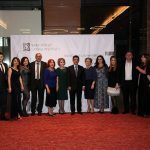 Other guests and staff of the institute also wished the collective to preserve their historical traditions and new achievements in reconstruction of Baku city, construction and renovation projects. As a result of my impressions of the 80th jubilee event, I can say that the staff of the institute continues its historical traditions, achievements and missions to accomplish greater achievements, make new contributions to the reconstruction, construction and renovation of Baku city and they are determined to celebrate institute’s 90th, 100th jubilee like this with a pleasant atmosphere and unique projects.